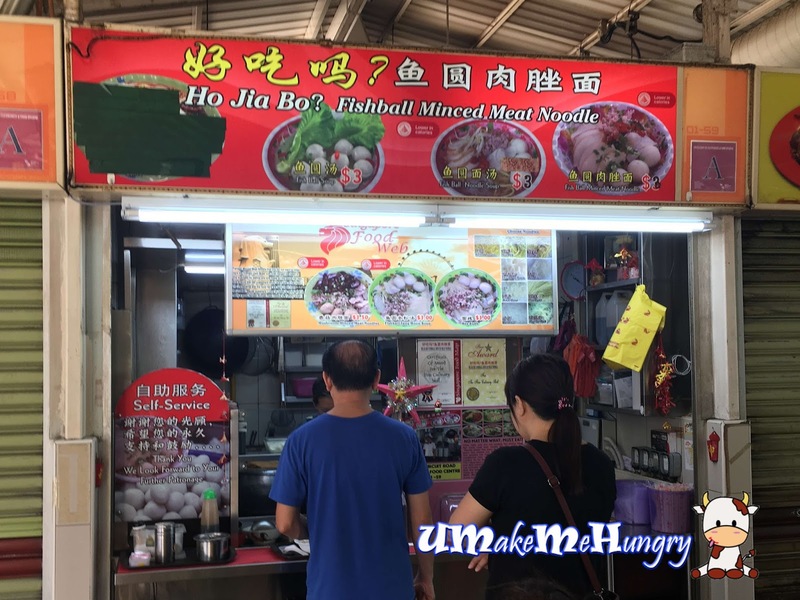 Chancing by Ho Jia Bo Stall when our initial plan to Hakka Yong Tau Foo stall failed as it was already sold out. Apparently, most of the stalls were either done with their business day around 10am or had closed for the Sunday. Ho Jia Bo? 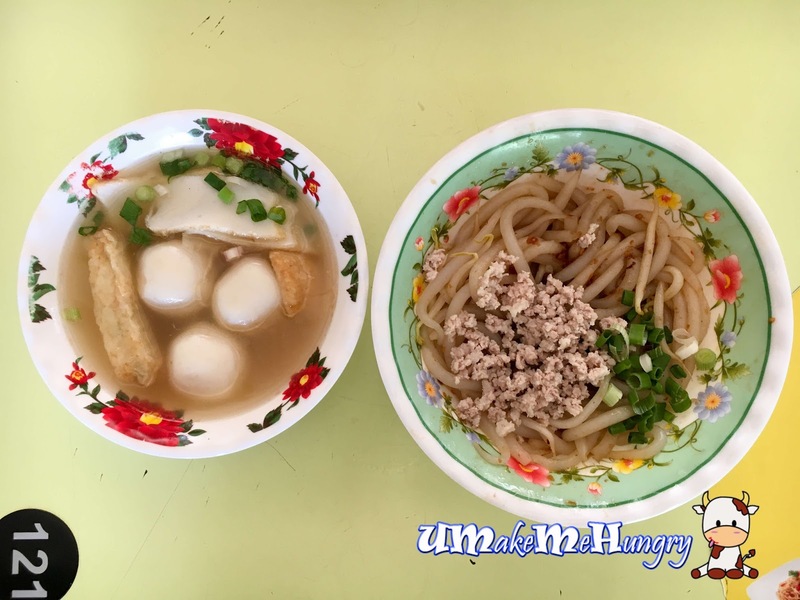 Fishball Minced Meat Noodle was only one of the few that remains opened at that time. Ho Jia Bo when translated from Hokkien simply means a question asking if it is delicious. What an interesting stall name they have. 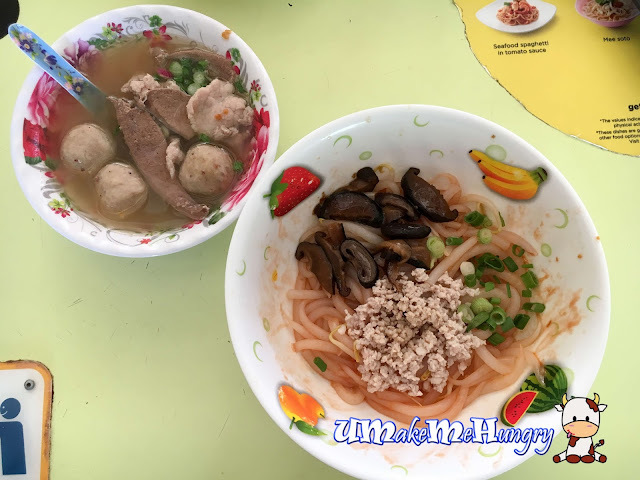 The fish ball noodle was topped with minced meat and in a separate bowl containing the soup, ingredients include slices of fish cake, fishballs and fried stuff. Look at the soup, it's different. Ingredients includes pieces of lean meat, liver and meat balls. The soup is not the usual typical taste and rather tasty. I also like about the part where my bowl of Bee Tai Bak was topped with generous serving of braised mushrooms and minced meat. Take a look at the recommended sign in front of the stall. It says "No Matter What. Must Eat!" 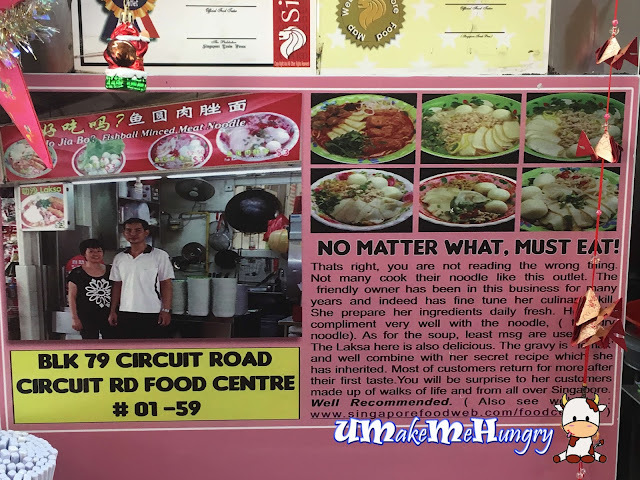 In fact, they are one of the recommended stalls for you to patronize in circuit road.